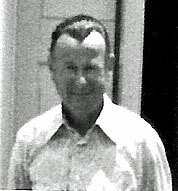 John Milne started work at Musick Point as an operator in 1939, when ZLF was first established. He details some of the pre-history of the area, pointing out that the site was originally a Maori Pa, settled about a thousand years ago, subsequent to Maui’s discovery of Aotearoa in 850 AD. The land became the property of the Crown and in 1939 the Post Office established ZLD/Auckland Radio on the site, along with three other stations in different parts of the country. These stations kept a 24 hour watch providing communications to shipping and the islands, as well as monitoring distress calls. John goes on to clarify the difference between the Maritime (ZLD) and Aeronautical (ZLF) Services. Originally based in an upstairs room in the Auckland Chief Post Office, the Maritime Radiotelegraph services (ZLD) were transferred to Musick Point during the early days of World War II, operating from a shed on the site of the present garage. Public Service transport ferried the operators to and from their homes during this time. Eventually operations moved to the newly built Musick Memorial building. Houses for personnel were also established locally at Bucklands Beach at around that time. John had left the station by that time, transferring to the Radio Inspection branch, and later as superintendent of Awanui Radio. Staff who were probably employed at that time were Bill Kirk, Jack Heleanan, Stan McAven, Jack Hornblow, Pat Meehan, Ted Wilcox and Carl Littlejohn as far as he can remember. In 1948, after being discharged from the NZ Army, John requested a transfer to ZLD from the telegraphic section of the CPO Auckland, finally retiring from this position after a further 28 years of service. John recalls that the initial installation of the radio equipment at Musick Point took place between October 1941 and January 1942. In mid 1941 the hostel accommodation for single staff comprised a single story building which was later extended to a new two story one with bedrooms, kitchen, dining room, lounge and a sundeck. This was the main block building known as the “Brown Annex”. Food supplies to the hostel were delivered by the local baker, butcher and general grocery, while the small canteen run by the staff supplied items such as soap, toothpaste, cigarettes and an assortment of sweets. The profit from this was for future requirements. Staff retention at ZLD was a problem, as Bucklands Beach was at that time a very remote area. After a short stay most moved, or were moved, on. When the Japanese war seemed to be coming to an end there was no necessity for an increase in staff, resulting in several transfers back to the CPO Telegraph section office in town. During this period John recalls a problem with the hot water at the main hostel. The Superintendent, who received all the bills for certifying, noticed the high usage of hot water, and consequently implemented a means to control it. He instructed all staff of the correct procedures to follow in future. The hot water heating would be switched off to the heater during the day, and he, as he had the only key to the cylinder room door, would cycle over each morning and turn the power off, then return in the afternoon to turn it back on. This was carried out for several weeks during which the water became constantly cold. An electrician was called and turned off the switch to the cylinder as the element had blown. But he received a shock; someone had gained entry to the cylinder control and re-wired it permanently. The switch had been hot wired. As a result there was no shortage of hot water in spite of the superintendent’s efforts, and the local technical staff vowed no knowledge of such a misdemeanor. Mention is made by John that during 1939 some services were supplied to the maritime service from the transmitters at Mangere, located in a hanger operated by Union Airways. Those who frequent the present Auckland Airport will be aware of the Aviation Golf Club. This was a site for the receiving antennas in those days. This all took place pre-1939 when ZLD was being planned and temporary buildings were being erected to house the operators. This first building was near where the current houses are located and was the gardener’s cottage. This building is no longer in existence. Cables of 100 pair were laid to the transmitting station in Oliver Road at this time. Several of the technicians were keen yachtsmen. When it came to paint their vessels, the station blow lamp would be borrowed to assist with the job. Wally Hirvan spent many hours burning off the old paint and feeling satisfied that at the end of the day he had done the job well. He stood back to admire his handiwork, but had forgotten about where he had left the blow lamp pointing. The inevitable happened when a small spark was carried by the breeze and set fire to the gorse bank, and in no time it was ablaze. The gentle wind pushed it up the bank and towards the Superintendent’s house. Poor Wally, with heart pounding, rushed up the bank through the smoke, to raise the alarm only to be met by an angry Superintendent himself. Both parties could be seen in confrontation with arms waving and raised voices, but no one got close enough to record exactly what exchange took place, during which time the local fire brigade and fire hoses had extinguished the burn off. Initially John transferred from the Upper Symonds Street Post Office in early 1937 after working as a distributor in the main Auckland Telegraph Office which was on the same floor. He would watch the operators and hope that one day he would be operating the same equipment. Later he was transferred to the Ruawai Post Office until 1941 before being called up for the army. During John’s time of tracing the early years of the station he discovered that for a short time in 1939 the shipping and the Aeradio Services were maintained at the new Auckland Airport facilities at Mangere and prior to his departure overseas he visited ZLD at Mangere Airfield where the receivers and transmitters were located. On being discharged from the army, John worked for three years at the Auckland telegraph office and then transferred to Musick Point. During this period he spent some time researching the history of the area, learning that over one thousand years ago the site was a Maori Pa, occupied by the Ngariki Tribe, TINO-O-MAUI, a Polynesian people, who had immigrated to New Zealand subsequent to Maui’s epic voyage in 850 AD. Whilst the New Zealand Post Office provided aircraft services on behalf of the Air Department, communications systems were also located at other main airports. The Union Airways hanger in Auckland was in close proximity to the transmitting building and antennas. The Medium Wave DF and main receiving office were located in Montgomerie Road where the executive golf course is now situated. It was in 1938 that planning was begun for the new Auckland Radio station, to cater for the new communications for Aeronautical and Maritime services. Designed in the shape of a flying boat it was to be named after Captain Musick as a memorial, the plaque on the wall of the main entrance commemorating the pioneering spirit of the pilot and crew. Mr George Scull was appointed in-charge senior supervisor (Manager). In those times the Chief Postmaster at Auckland was in charge of all Post Offices and out stations. In 1944/45 an emergency communications link was established between the Auckland CPO Telegraph office and ZLD. This was operated by a ‘carrier detection circuit’ which rang a bell at either end along with red flashing lights because the sound of the bell could not be heard at times due to the noise of telegraph machines, circuit alarms in use and general high noise level. The VHF emergency link to the CPO Auckland was needed because in the early days of operation Musick Point landline communication was very unreliable due in part to the very old leaky 50 pair telephone cable to the St Heliers Bay telephone exchange, along with the 600Ω open line to and from the Howick telephone exchange with its manual switching. THe original callsign of the station VLD, was changed to ZLD after the communications conference held in Washington in 1927. 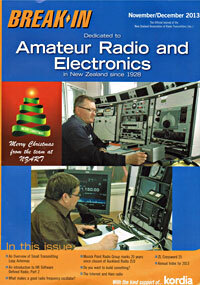 At this time the station was operative at the CPO Auckland. 1952 saw the start of many of the changes in the operation of the station and its services. Reduction of operational staff numbers resulted in several staff transferring to other sections of the Post Office, the CAA and to private enterprise. Those staff remaining lived in their own houses or in CAA rental premises in the Bucklands Beach area. By this time the station was under the control of CAA. ZLD moved to the lower floor with CAA taking all the top floors. Rooms were re assigned and the 500 kc/s Main Marine, Small Ships, Outland Island Services and Emeradio were all transferred to the ground floor. The supervisor’s new office had previously been the lunch room, next to the kitchen. His old room was used for the Small Ships and Island Services. The Main 500 kc/s console, the Marconi LF DF and the Emeradio equipment were moved to the northern end of the Bay Room, along with the teleprinter for exchange of telegrams to and from the CPO, along with the duty supervisor’s desk. John recalls the main receivers at the time were the NZ made Collier and Beale HRO 941 SWB type. These were mounted in 19″ racks, in front of which the operators were seated. New equipment was ordered to replace these aging receivers and from about 1961 there were Radifon R50/m receivers, a Telefunken DF, Tape recorders and two tone alarms fitted. The latest installation being Collins Receivers. The transmitters Collier and Beale No. 666, 129 and 873 were replaced by Dansk, Nortel and JRC types. The move to modern communications finally saw the closure of all services from the station.